Finding Balance in Foods and Beverages Developed for Kids	|	Food and Beverage Marketing, Advertising and Branding | Brightly creative. | A craft marketing, advertising and branding agency focused in the food and beverage industries. I took my kids to McDonald’s for breakfast before school yesterday. It’s a rare occurrence, as I love providing my family with three home-cooked meals a day when possible, and I’m a bit of a health nut. However, the girls were being sweet, mom had an early morning conference call and dad’s a sucker for making his girls happy. I’m pretty educated about the food system and healthy eating, so I know what I’m getting when I take my kids to McDonald’s. A ton of sodium and foodstuffs cooked in vats of oil. Orders for the girls (I’m an early riser so I already had breakfast): Bacon, Egg and Cheese Biscuit for Stella, the 8-year-old. Hot Cakes for Kate, the soon-to-be 5-year-old. They brought the food to our table (is that a new thing for McDonald’s? ), and I immediately grabbed the “syrup” so Kate couldn’t just dump the whole container on her pancakes, or lap. I knew what I was pouring on those hotcakes was not real, 100% maple syrup. I knew my sweet little girl was about to ingest something fake. Something developed to taste like maple syrup at pennies to the dollar. I told myself not to look at the ingredient label, but it’s kind of my job to look at these things, so I did. 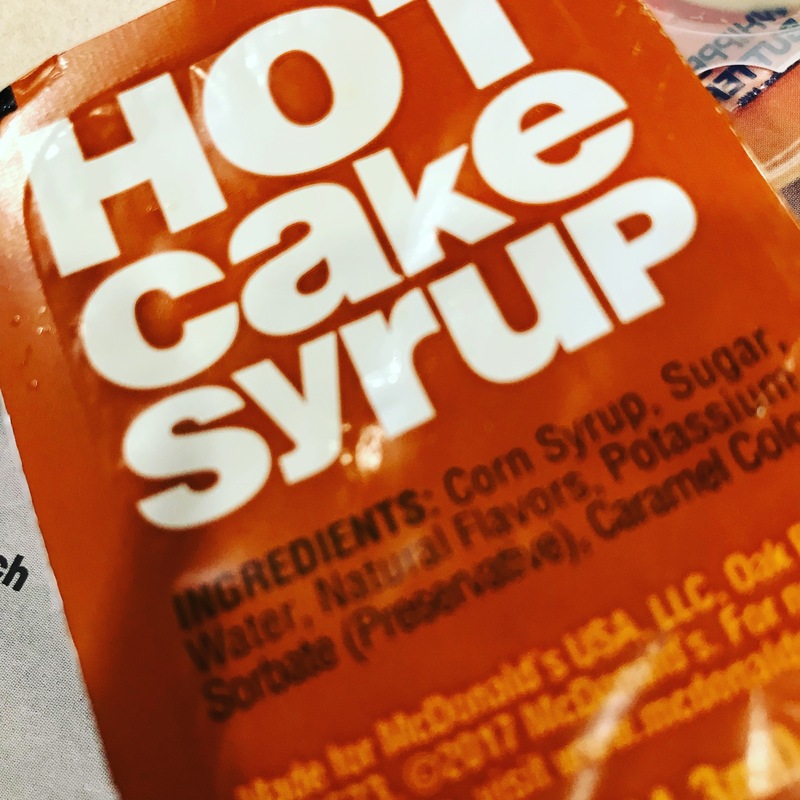 McDonald’s Hot Cake Syrup: Corn Syrup, Sugar, Water, Natural Flavors, Potassium Sorbate (Preservative), Caramel Color. I had a good idea all that junk was in there, but seeing it on the label still shocked me a bit. Six ingredients to create a cheaper, unhealthier version of a real food that’s pretty accessible. My favorites as a kid: Lucky Charms and Froot Loops. I loved not only the cereals, but also the leprechaun and bird. 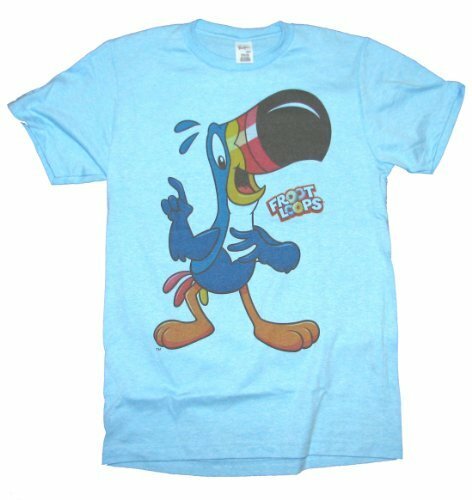 I even had a Toucan Sam t-shirt. The marketing minds behind those products developed those characters just for kids like me, and placed commercials during Saturday morning cartoons so I would run to mom and beg her to buy Froot Loops. It worked like a charm. Today, that strategy isn’t quite as effective as it used to be. Concerned dads and moms, like my wife and I, are ruining all the fun. We’re looking at labels, reading ingredient lists and prioritizing healthfulness over taste and cost. This emerging trend has forced product developers at large food and beverage companies to approach their jobs with two audiences in mind: The kids who will be consuming the product and the concerned parent who will be buying it. Although I agree with Packaged Facts assessment, I think purchasing decisions from parents with kids can be simplified into one concept: We want real food made with real ingredients. Ingredients that I most likely have in my pantry. Ingredients I can feel good about giving my kids. For me, it’s not about calorie counts. It’s about giving them a food that’s free of anything artificial. I understand the challenges of formulating products like these, mainly they cost more and shelf-life most likely is shorter. However, I believe the number of parents willing to accept these factors is going to continue to grow. As a society, I think we’ve hit the apex of junk food acceptance, and we’re on the verge of a pretty significant shift in how our society views the food system. It’s not going to be an overnight change, but I believe it’s inevitable, and an area our agency is championing. You should too. Think about the foods you’re feeding yourself and kids and call for change. Ask McDonald’s to start serving real maple syrup with their hot cakes. Or at least give us an option. I know I’m willing to pay for it. Ask cereal makers to only use whole grains and all-natural sweeteners, such as honey, in their products. Implore beverage manufacturers to eliminate all artificial sweeteners and “syrups” from their products targeting kids. As an agency, we play a role in marketing food and beverage products. We’re challenging ourselves to be more transparent and responsible in our efforts, and we call on everyone in the food system to push themselves to develop products with real ingredients, and proudly market them to concerned moms and dads like me, and my two adorable daughters.